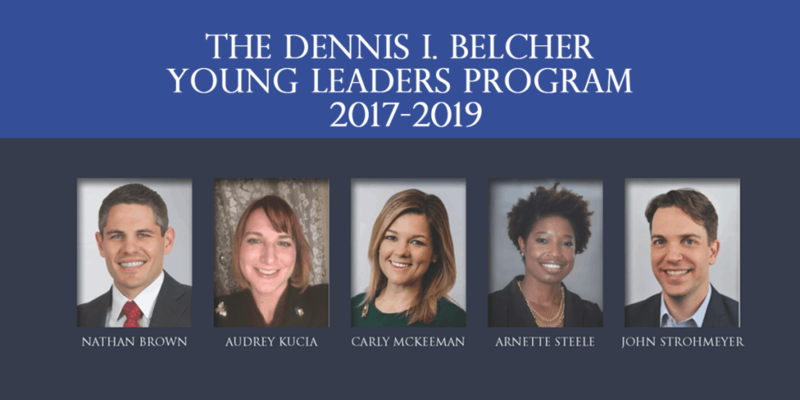 The Dennis I. Belcher Young Leaders Program was developed to foster scholarship and education in trusts and estates, promote diversity and inclusivity, and encourage the development of potential ACTEC Fellows. In March 2018, the program was named after Dennis I. Belcher, a leader of the College and mentor to many young trust and estate lawyers. 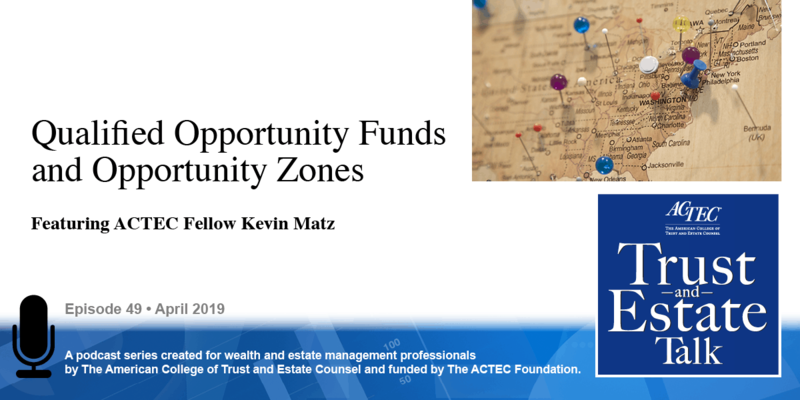 Participants in the Dennis I. Belcher Young Leaders Program have been offered tuition-free attendance at the ACTEC-ALI/CLE webinars, financial support to attend ABA/RPTE Section Meetings, and invitations to attend state and local ACTEC events in their regions. Audrey Kucia of The U.S. Department of the Treasury, IRS in Washington, D.C.
Nathan Brown is an associate in the Private Client Services Department of Proskauer Rose LLP. Mr. Brown advises clients on a wide range of tax and estate planning matters, as well as estate and trust administration. He assists high net worth individuals and families develop suitable estate plans to maximize and protect the transfer of wealth to future generations. Mr. Brown is experienced in implementing advanced estate planning techniques, including irrevocable insurance trusts, grantor retained annuity trusts, sales to defective grantor trusts, inter vivos qualified terminable interest property trusts, family limited partnerships, all aspects of estate and trust administration and preparing Federal Estate Tax Returns. In law school, Mr. Brown received the Faculty Significant Achievement Award and the Outstanding Scholastic Achievement Award in Taxation, and in the process of earning his LL.M. He served as a Graduate Editor of the Florida Tax Review and received the Richard B. Stephens Award, given to the most outstanding student in the graduate tax program. He earned his LL.M. in Taxation University of Florida Levin College of Law in 2011. Audrey Kucia is an Illinois licensed attorney working in Washington, D.C. for the U.S. Department of the Treasury, Internal Revenue Service. She earned her J.D. from DePaul University College of Law in 2007. For the Section of Taxation, she serves as Chair-Elect of its Diversity Committee and as an advisor to its Diversity Task Force. She was a faculty member for JCEB National Institutes on ERISA Basics and ERISA Litigation. She led CLE programs on safe zones for LGBT employees and the elimination of bias against women in the legal profession. In bar leadership and CLE programming, Ms. Kucia sponsors women, people of color, LGBT, and young attorneys. During law school, she volunteered for indigent clients at the Cook County Public Defender’s Office and at Centro Romero. Carly McKeeman is a Vice President and Financial Advisor at Evercore Wealth Management and at Evercore Trust Company, N.A., working in a business development role with high-net-worth families and their outside advisors. Ms. Keeman joined Evercore in 2016 from Fiduciary Trust, where she worked in business development. She earlier served as the Associate Director of Planned and Major Gifts at Columbia Law School. 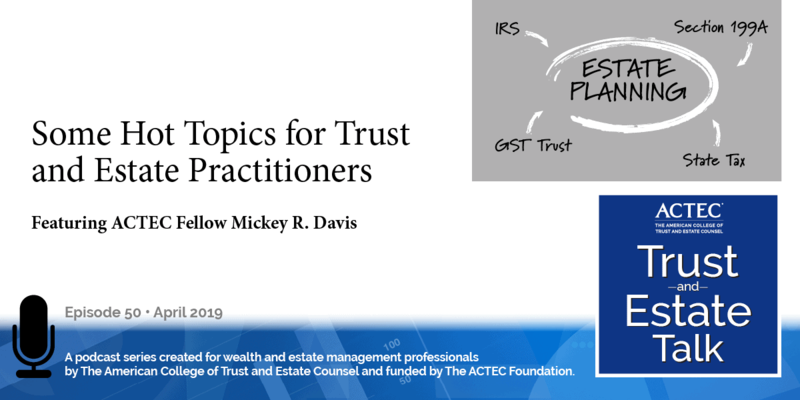 She has eight years of experience in charitable trust planning and has been recognized as a 2015-17 Fellow of the American Bar Association Section of Real Property, Trust and Estates. Ms. McKeeman earned her B.A. from the University of California, Santa Barbara and her J.D. from Pepperdine University School of Law. She is currently a member of the Society of Trust and Estate Practitioners, the New York State Bar Association Trusts and Estates Section, and the Young Patrons of Lincoln Center. She serves on the Executive Board of the Women’s Prison Association, a social services organization in New York City. Ms. McKeeman is a member of the New York Bar and the California Bar. Arnette (“Art”) Ayelay Steele is the founder of Law Offices of Arnette Steele, PLLC (“Steele Law Offices”). She is a seasoned tax lawyer with a diverse background. Ms. Steele founded her law firm because she is committed to providing access to affordable, high-quality legal services to individuals, families and small businesses. Ms. Steele earned her J.D. from American University Washington College of Law, and her LL.M. in Taxation from Georgetown University Law Center. Ms. Steele also serves as an Adjunct Professor of Wills, Trusts and Estates at American University Washington College of Law in the District of Columbia. Ms. Steele is originally from Monrovia, Liberia. In 1990, her family escaped the Liberian Civil War and immigrated to Reston, Virginia, where she grew up and now lives. John Strohmeyer’s practice at Strohmeyer Law PLLC focuses on estate planning and estate administrations for high-net-worth individuals, including a developing international focus. 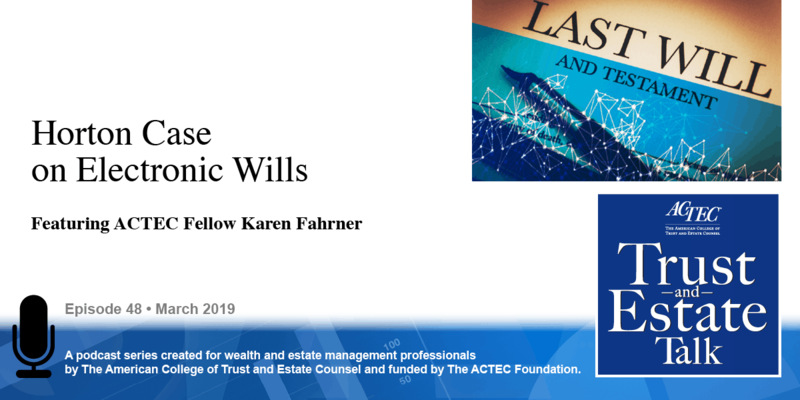 His practice includes traditional estate and disability planning, probate and estate administration, and the preparation of estate and gift tax returns. Mr. Strohmeyer also designs, implements, and administers trusts of all types and related business and investment structures, including taxation and compliance aspects of these structures. After earning his B.S. in Zoology from The University of Texas at Austin in 2002, he spent four years working for the Four Seasons Hotel in Austin, primarily as the Night Manager, before continuing his legal education. He graduated from The University of Texas School of Law in 2009 and obtained an LL.M. in Taxation from the New York University School of Law in 2010. He is Board Certified by the Texas Board of Legal Specialization in both Tax Law and Estate Planning and Probate Law. Mr. Strohmeyer has been elected to Texas Super Lawyers, Rising Star in 2015, 2016 and 2017. In the past five years, he has run the Boston Marathon, started homebrewing beer, and spent his honeymoon backpacking through Southeast Asia.